In a large pan, heat 1 tablespoon of olive oil. Add chicken, garlic, salt and pepper. Cook 5-7 minutes or until chicken is cooked through. Set aside. In a small bowl, mix together ricotta cheese, red pepper flakes and oregano. Set aside. Brush the pizza crust with 1 tablespoon of olive oil. Then coat the crust with the ricotta mix. 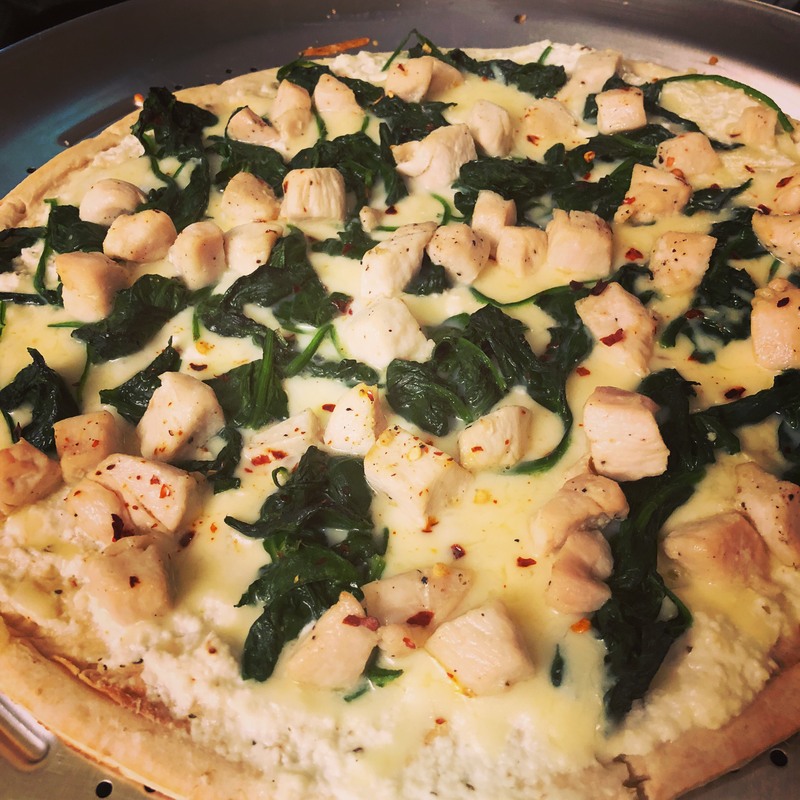 Add mozzarella cheese on top along with chicken and spinach. Sprinkle with extra red pepper flakes and/or oregano. Bake 8-12 minutes or until cheese is melted and crust is golden. Enjoy!